People often experience the sensation of sore muscles after exercising or participating in strenuous activities. This feeling makes it difficult to stick to regular workouts, and can even interfere with other events throughout the day. A sharp muscle ache in the neck, shoulders, or back can put a damper in your mood and ability to carry out everyday activities. Fortunately, there are effective ways to treat the pain associated with muscle aches, including undergoing regular massage therapy at a trusted massage parlor like West Garden Spa in NYC. Luckily, massage therapy can heal sore muscles and reduce the pain and discomfort associated with them. Here is a closer look at the most common sources of sore muscles and the benefits of massage therapy. When you exercise, your muscles move to accommodate your different physical activities. This type of movement causes immediate muscle soreness. Muscles also experience delayed muscle soreness, which may be felt a couple of days after the initial workout. The delayed soreness is due to tears that form in the muscle during physical activity. Over time, muscles heal and become stronger, leading to improved strength. You may notice soreness if you try new exercises that your body has not experienced before. People who exercise also get sore after intensifying certain aspects of their current workouts. Specific movements may also lead to muscle soreness. One of the most common sources of muscle pain is a strain that occurs when a person engages in a strenuous activity, such as running or lifting something that is beyond his physical capacity. Pulled muscles and muscle strains can heal over time, but not before common symptoms such as swelling or bruising appear on the skin. Muscle aches can also be the result of prescription drugs, such as cholesterol and blood pressure medication. While it’s not always feasible to find alternative drugs to treat these conditions, the good news is you can treat these painful side effects by opting for therapeutic massage several times each month. Anyone with a potassium or calcium deficiency knows that throbbing muscle pain is a common effect of such a condition. 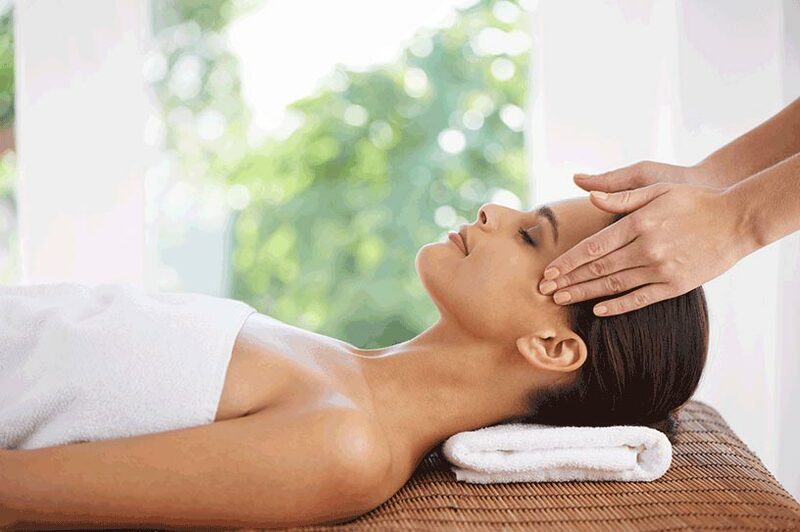 If you’re suffering from an imbalance of either mineral, then be sure to speak to the massage therapist at your NYC massage spa about targeting areas that are commonly affected by the pain, such as the arms or legs. Other common sources of muscle aches and pains may include stress, chronic conditions such as fibromyalgia, and inactivity due to injury as well as muscle pain from tension, stress and overuse of muscles such as exercising too frequently. Athletes often receive massages after strenuous training sessions or games. These treatments provide relieve from injuries and stresses experienced during practices and competitions. When muscles develop tears during strenuous exercises, they experience inflammation, which causes pain and soreness. Various massage techniques have been shown to reduce the effects of inflammation. This spa treatment allows athletes to relax and find relief from the unpleasant after-effects of working out. If you receive a massage after exercising, you are likely to experience less inflammation and a faster healing process. Scheduling a massage treatment is a great way to feel better after a new workout! The massage therapists here at West Garden Spa can help you find relief from sore muscles using special techniques aimed at alleviating tension and pain. To learn more about our massage services or to schedule an appointment with us, call 212.244.7711. Our Asian massage parlor is conveniently located in midtown Manhattan near Penn Station, open til 1am most days and has luxury amenties such as table showers, steam rooms, dry saunas and a lounge with a large flat-screen TV.